Atlanta Capital is an investment advisory firm that has specialized in high quality stock and bond portfolios for nearly 50 years. Since 1969, they have consistently served their institutional and individual clients, dedicated to a single investment philosophy over numerous market cycles. 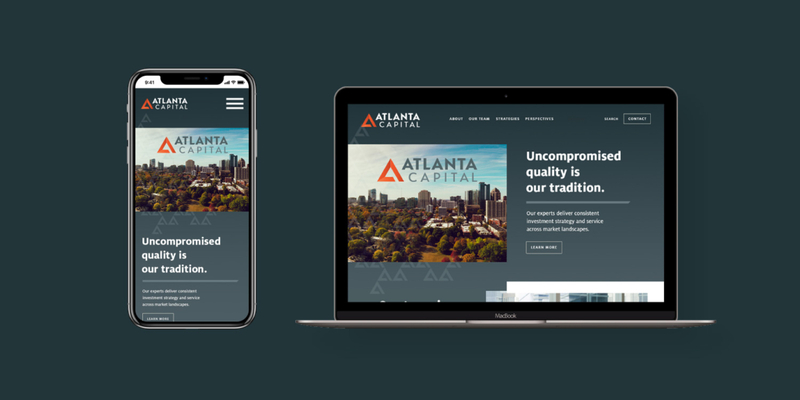 Since then, Atlanta Capital remains dedicated to a single investment philosophy which has been executed over a variety of market conditions. Today, their philosophy is consistently applied across a broad range of traditional equity and fixed income investment strategies. They believe the experience and stability of their investment professionals are the hallmarks of their organization. MBC performed a strategic rebrand, updating the institutional asset management firm’s logo, website and entire suite of sales and marketing materials. The new brand launched in 2018 and garnered the 2018 MarCom Gold award.